New Delhi (07/02/2019): Addressing a gathering at the national convention of party’s minorities department by the party, Gandhi blamed the incumbent Modi government for interfering in the functioning of key central institutions. 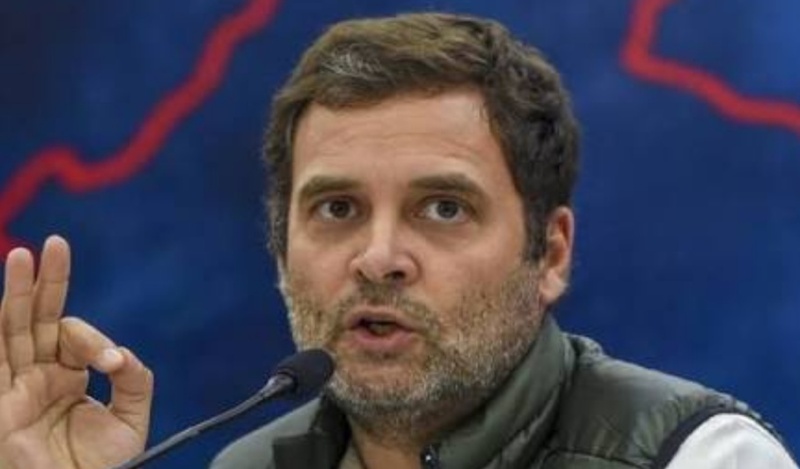 Congress president Rahul Gandhi said that his party will take down the controversial law which criminalises the practice of triple talaq. Targeting the current government, Gandhi said that BJP thinks it is above the country. “In three months, this country is going to explain it to them this country is above them,” he said. Emphasising on the much-needed electoral victories in three state legislative assemblies, Gandhi claimed that BJP’s ideological parent Rashtriya Swayamsevak Sangh (RSS) has proliferated every institution in Madhya Pradesh and Chhattisgarh during the past 15 years. Referring to information from the current Madhya Pradesh Chief Minister Kamal Nath, he claimed that a special ministry formed in the state under the previous regime handed over Rs 800 crore to RSS. With several debacles riddling central institutions of the country in the recent past, the Congress party chief said that it is the responsibility of Congress and every political party to protect them. “The institutions of India are not owned by any political party. They are this country’s institutions and it is the responsibility of political parties to protect them. When four Supreme Court judges state that they are not being allowed to work and name Justice Lohia in the same sentence. This indirectly indicates that BJP president Amit Shah is not allowing Supreme Court to function,” Gandhi said.